Organic. Wine of Mendoza, Argentina. Hand harvested grapes. Suitable for vegans. Torrentés is a uniquely Argentine white grape. 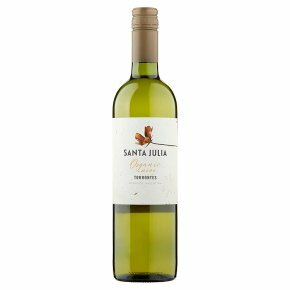 This floral, crisp wine displays ripe fruit flavours of citrus, pear and peach with a spicy finish. A lovely wine on its own or served with salads, chicken and spicy cuisine.